Concorde Hotels & Resorts Group has bolstered its sustainability policy with the launch of a programme aimed at the meetings and events industry. Concorde has launched its Meet & Commit scheme, which allows meeting planners to aim for a more sustainable event by using recycled materials and organic produce for catering. In addition, clients can support non-profit climate change organisation CARE, host team-building activities such as creating an organic garden or attending recycling workshops, or measure the carbon footprint of an event. The programme follows the creation of its CSR policy in June, which was developed following advice from sustainability directors at Deloitte and Pricewaterhousecoopers (PWC). Concorde vice president sales and marketing Francoise Houdebine said: "We hope that this will contribute to satisfying our clients’ demands as well as building awareness of the challenges we face on our planet." 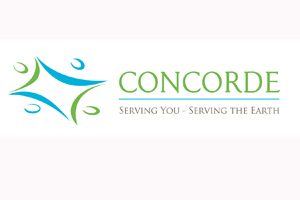 She added that learning from other businesses had helped Concorde enormously. "It was fantastic to see how much companies like Deloitte and PWC wanted to share best practice with us," said Houdebine. Concorde has also developed a range of organic bathroom products, which are being placed in all of its 27 hotels.